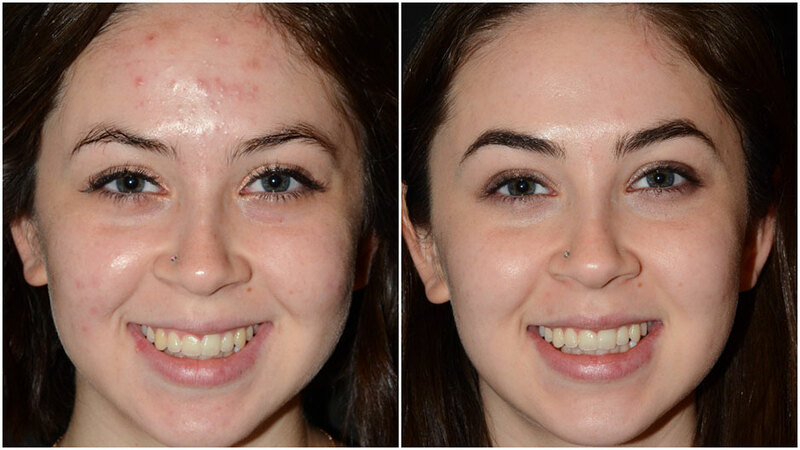 Adult acne or teen breakouts can be successfully treated with our effective yet gentle treatment for the elimination of breakouts and excess oil. These clinical skin care treatments are much more effective, pleasant and private for your teen than those in a doctor’s office. 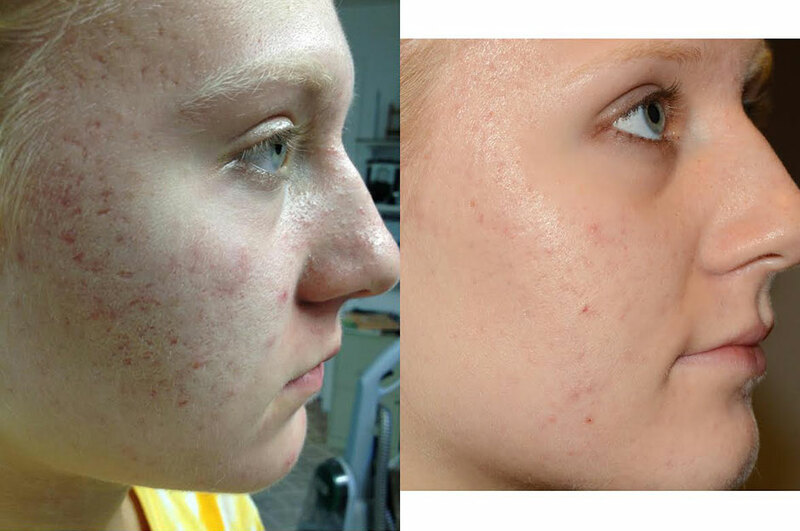 The Clinical Teen Acne Treatment is available for teenagers and men and women of all ages. Teenagers ages 12 to 14 are required to have a parent with them in the room during their treatment. Parent must be present to sign consent form. Teenagers ages 15 to 18 may have a parent with them in the room during their treatment but it is not required. Parent must be present to sign consent form. This deep cleansing treatment is specifically designed to improve pore congestion, excess oil, breakouts, and inflammation from problematic skin. Customized exfoliation using clinical strength enzymes or chemical peels specific to the skin’s needs. All aspects of this professional clarifying facial are intended to repair problematic skin and improve overall health of the skin. The Clinical Teen Acne Treatment begins with the skin being gently cleansed. Upon assessment, the skin will exfoliated with either a custom chemical peel or enzyme. Thorough deep pore cleansing is performed precisely to minimize irritation and purge any build up within the pores. Then a hydrating oxygen treatment is performed which utilizes pure cool oxygen to infuse the skin with an anti-inflammatory serum. The treatment utilizes a safe and gentle High Frequency treatment. High Frequency eliminates acne-causing bacteria while also enhancing blood circulation and increasing collagen and elastin production. 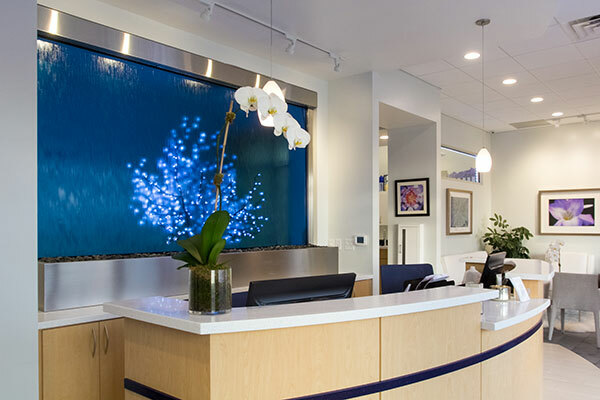 At Blue Water Spa we understand our patients have busy lives, thus we created a line of “Express” services that are designed for men and women who want glowing, healthy-looking skin, without spending a lot of time or money. Most of these services are performed in less than 30 minutes. These are great for clients wanting to pop in and out during appointments or even on their lunch break. These services are a “no frills” procedure, but it can give your skin a wonderful boost between more intensive and / or relaxing treatments that your aesthetician can discuss with you if you desire. Our express services do not include extractions, masks, massage or disrobing unless indicated. If extractions, masks or other add-ons are desired they can be performed at a follow up appointment, or, on occasions when the schedule permits. Extractions, masks or other add-ons can be added to any of our Express services for an additional fee. Blue Water Spa Express services are a wonderful way to start a skin care regimen for someone new to professional, medical grade skin care, as well as people who have been enjoying a skin care regimen for years and just want to get in and out without any of the frills. For those desiring a more relaxing spa service, we would recommend one of our Peelabliss or regular peel services. Depending on the condition of the skin and the level of exfoliant used, the patient may or may not experience visible peeling. The chemical exfoliants are releasing dead skin cells and stimulating collagen growth whether or not peeling skin is observed post treatment.